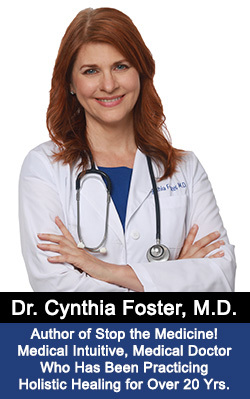 by Cynthia Foster M.D., a conventionally trained medical doctor who has been healing patients naturally for over 20 years. 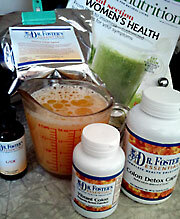 What Toxins Can Be Flushed Out During This Cleanse? In 1992, when I first entered a reputable state medical school in Texas to become a conventional medical doctor, I had no idea what the liver was or that it had anything to do with healing the body. During medical school, I learned the basics about the liver - that it controls cholesterol, stores energy from the food we eat, detoxifies the blood, processes hormones and is involved in blood sugar regulation. All of this knowledge failed me when I developed epilepsy from a Hepatitis B vaccine that was required for me to get into medical school. Ironically, the vaccine that was supposed to protect my liver from Hepatitis B that I could possibly get from seeing sick patients, actually damaged my liver. How did I find out? I went to see a holistic RN who ran some very unconventional tests that showed that my liver was extremely toxic and that this was to blame for my extreme fatigue, epilepsy, migraines and other health problems. She found the source of my problems even though my conventional liver blood tests taken by conventional medical doctors were absolutely normal! How ironic it was that I was misdiagnosed by regular doctors for 2 years only to be correctly diagnosed by a nurse who had left the nursing profession to heal people naturally. To my absolute disbelief, I found that she was healing incurable diseases such as cancer, Lou Gehrig's disease, lupus, psoriasis, heart disease as well as less severe health issues such as parasites, colds and flu and other infections. Over the course of 2 years, I talked with her patients in her waiting room to see what they had and how they were healing, and the end result was that her results were much better than what I was seeing in the hospitals and clinics where I was receiving my medical training. This made me deeply question the medical profession and, after I finished my training, it caused me to leave. 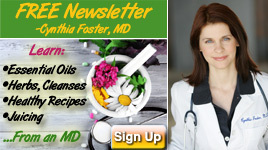 So, over twenty years ago, after receiving my medical degree, and after my epilepsy had been completely cured using only natural methods as my treatment, I went off of my own to study and learn as much holistic medicine as possible. I then started seeing patients with incurable diseases. In over twenty years of seeing patients and using holistic healing methods, what I discovered was that healing their liver was the most important factor in their recovery. If we skipped this part, the patient got a partial result, but was not cured. The following is very specific information on how I healed my patients from various liver and gallbladder issues. In healing their liver and gallbladder, I noticed other health issues disappearing. Over the years, I noticed their symptoms and what happened when we cleansed their liver. I've outlined my special liver cleansing program below. This is not about drinking 8 ounces of olive oil or doing a harsh Epsom salt flush. This cleanse is far better and far more effective. Each herbal formula has been fine tuned over the years to be the most healing and the most effective. A completely natural do-it-yourself herbal program that you can do in the comfort of your own home. It is designed to cleanse the liver of toxic residues and gallstones in order to allow the liver and gallbladder to heal. I've outlined my special liver cleansing program below. I'm a conventionally trained medical doctor with 20 years experience in healing people naturally, so I know exactly how your liver interacts with your colon and exactly how natural healing routines affect your body. This is not about drinking 8 ounces of olive oil or doing a harsh Epsom salt flush. This is not about doing enemas or colonics either. This cleanse is gentler, far better and far more effective. You should not have to run to the bathroom during this cleanse, and you don't need to take any enemas or colonics. The herbal formulas are going to do all of this for you, but in a gentler, more effective way. Each herbal formula in this cleanse has been fine tuned over the past two decades to be the most healing and the most effective. It can be used by healthy individuals to maintain health, or it can be used to help regain health even in the seriously or terminally ill. This cleanse can easily be done at home. No enemas or colonics are needed during this program because the same deep cleansing effect is accomplished with the herbal intestinal formulas taken by mouth. This cleanse allows people to take control over their own health. It can be extended for longer periods of time in those with serious health issues, or rotated with the Kidney/ Bladder Revitalization Program. Sometimes the Liver Regeneration Program must be repeated a few times in order to allow all of the toxic material to be eliminated. In severe illness, a client might do this routine every other week for months until he or she is well. Colon Detox Caps (very important - everyone must take this) Those with active diarrhea or colitis, do not use Vibrant Colon Formula. Order the items in the program separately and leave out the Vibrant Colon Formula. The program that I use to heal the liver is purely herbal. People can do it in the privacy of their own homes. It begins the process of removing the toxic substances in the liver and gallbladder that are causing problems. The L/GB Formula and the Detox Chai Spice are designed to be used together with a morning juice drink to help the liver release any gallstones, parasites, or accumulated thickened bile material. The intestinal formulas (Vibrant Colon Formula and Colon Detox Caps) included in the program help to absorb the toxins that are released from the liver and gallbladder into the intestines. The program activates healthy bile flow from the liver, releases pharmaceutical and other toxic residues out of the liver, releases excess cholesterol from the liver, and helps the liver to regenerate itself. I have seen this this program help regardless of whether or not there is scar tissue in the liver, even in cases of cirrhosis (a lower dose is usually used). Liver cleansing herbs are bitter. The bitter taste sets the liver in motion, allowing it to produce bile and healthy enzymes in order to cleanse itself. The results of clearing out the liver can be felt all over the entire body. Only foods and herbs (and positive thoughts) can help repair a damaged liver and/or gallbladder. This is because they are recognized as foods. They are not toxic, and therefore they do not cause the liver to work in order to detoxify them. All synthetic chemicals are recognized as foreign and toxic to the body. Therefore, when the liver sees a chemical, it automatically goes into action producing enzymes to neutralize it and get rid of it. This is a complicated process involving Phase I and Phase II enzymes and trying to produce more bile to dilute the foreign substance. After a certain point, after all of this work trying to save the body from dangerous chemicals, the liver can begin to wear out. Then the liver function slows down. This is where many chronic health problems arise. The L/GB Formula and the Detox Chai Spice do not contain anything artificial or cancer-causing. The herbs gently support the liver in helping it to catch up on its detoxifying work so that it can return to producing adequate enzymes to properly digest foods and detoxify the body. Some of the herbs specifically protect the liver from damage, and help to repair a liver that has already been damaged. If you have signs or symptoms of liver and/or gallbladder toxicity or a chronic disease that does not respond to treatment, then it is time to take herbs to heal the liver before the toxicity worsens and produces even worse disease. Each day, we are exposed to thousands of foreign chemicals in the air in the water, in and on our foods, in our houses. Daily we are exposed to paints, solvents, preservatives, pharmaceutical medications, household cleaning chemicals, mercury residues in our fish, artificial colors and flavorings, asbestos fibers on brake pads, sodium lauryl sulfate in our soaps and detergents, industrial waste chemicals in tap water, gasoline fumes, benzene residues contained in natural gas, and pesticide residues on our morning coffee and in our foods. Although the FDA has set acceptable limits for each chemical, there are no guidelines as to what is safe when a person is exposed to multiple chemicals all day long. Most people living in industrialized countries such as the United States are exposed to multiple chemicals ALL DAY LONG EVERY DAY. There are simply no acceptable limits for being exposed to this many chemicals on a regular basis. Our civilized lifestyle IS a toxic lifestyle. Toxic chemical overload is one of the biggest reasons why so many people suffer from chronic diseases. Due to the enormous amount of synthetic chemicals that have been introduced into the environment since the 1940's, it is wise to do a liver healing program one to four times a year to make sure that the liver is protected from this chemical onslaught and continues to stay healthy even if there are no symptoms. By the time a person turns forty, it is common to have gallstones. Medical diagnostic manuals tell us that everyone will have gallstones if they live long enough. Sometimes, liver toxicity can be present for years without people realizing that their minor symptoms are signs that their liver is having trouble doing its job of detoxifying the body and digesting foods. Additionally, many of the problems of aging are actually due to a toxic liver. Liver diseases left unchecked can lead to liver cancer or liver failure. Medical doctors have no cure for these conditions. This is when liver transplants are performed. 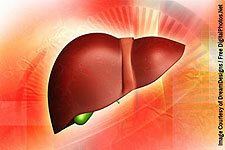 Yet these problems can be avoided by learning how to cleanse and heal the liver naturally. Pretty much everyone should do this cleanse. Children who weigh less than 100 pounds should do a milder, children's version of a liver cleanse instead of the Liver Regeneration Program (Colon Detox Caps + Liver/Gallbladder Caps). People who have had their gallbladder removed have even more reason to do this cleanse, since the presence of gallstones means the liver has been functioning poorly and is full of fats, bile sludge and other toxins. People who do not have a gallbladder do not digest fats as well, and for this reason, they should reduce the amount of oil in the morning drink recipe to 1/2 the recommended amount. I've put hundreds of people on this liver cleanse who did not have a gallbladder. (If the truth be known, over half the population over the age of 40 has had their gallbladder surgically removed, making this a very common situation that I see just about every day.) People who have had their galblladders removed do fine on the Liver Regeneration Program. People that have had their gallbladder removed should not, however, do other versions of liver cleanses that require the drinking of 8 ounces of olive oil. This is far too much oil for person without a gallbladder to consume. It will definitely make them vomit and they will feel very sick. So, people who have had their gallbladder removed should do a gentle liver cleanse such as the Liver Regeneration Program and stay away from harsher liver cleanse recipes that float around the internet, in many natural health books and among friends. Biliary toxicity may be addressed by healing the liver and gallbladder with the Liver and Gallbladder Regeneration Formulas and in combination with proper food choices. In severe cases, other herbal healing programs may need to be added. Thousands of new toxic chemicals are now found everywhere in the environment (in hospitals, the air, tap water, household cleansers, beauty products, synthetic fragrances, animal products, artificial flavorings and colorings). The liver is the major detoxifying organ in the body, and we have overloaded it through the years with all sorts of harmful synthetic substances. When filled with toxic substances, the liver weakens and cannot function well. This weakening eventually leads to all kinds of liver conditions, including hepatitis, which is now so common that it is becoming an epidemic. Viruses merely function to clean up filth and decay in the body. The hepatitis virus should not be considered to be the enemy, but the toxins in the liver that the virus feeds on should be. Without malnutrition, buildup of toxic fats and cholesterol, heavy metal residues and other toxic chemical substances that have accumulated in the liver, the hepatitis virus simply cannot survive. When the liver is toxic, the immune sytem becomes weak, and diseases such as Chronic Fatigue Syndrome, Gulf War Syndrome, Multiple Chemical Sensitivity, obesity, mental illness, hormonal imbalance and all types of cancers can develop. Many of my clients have found that after thoroughly cleansing the liver and gallbladder, these conditions simply disappeared. Many people believe that clinical depression is a minor problem that is caused by an imbalance in brain chemistry. In almost every case of depression and other types of mental illnesses I've seen, there has been a major problem with putrefied toxins in the liver. The brain does not have a chance of balancing itself until these putrefied toxins are removed from the liver. (This is why the herbal Antidepressant Formula I use contains liver cleansing herbs). The toxins have been left in the liver for so long that the odor cannot help but announce itself in the breath. "Depression breath" can be so foul that many people have difficulty speaking with the depressed person. The odor on the breath can be used as a reliable indicator of toxins in the body. The more foul the breath, the closer a person gets to an incurable disease. Many doctors have now recognized that many types of cancer (for example, pancreatic cancer) are preceded by years of clinical depression. Yet, they do not understand the link between liver toxicity and depression. Many people have been told that their liver produces too much cholesterol, and that dietary methods cannot help them. However, when they used the Liver Regeneration Program combined with a plant-based diet (vegan diet), after a few months, ALL of them were able to lower their cholesterol levels to normal levels, no matter how high and no matter how genetic the doctor seemed to think it was. Many people rely on over the counter medications and surgery to get rid of minor problems such as indigestion, bad breath, constipation, gall stones, aches and pains. The medications only relieve symptoms without healing the toxicity in the liver and gallbladder that caused the problem. Many people take medications that are known to be toxic to the liver. The most common offenders are antidepressants, antipsychotic medications, medication for high cholesterol, diabetes medications, birth control pills, and anticonvulsant medications (for seizures or epilepsy). The accumulated toxins continue to build up in the liver, which can lead to progressively worse health problems until a fatal disease develops that eventually causes death. Before that time, more and more medications are added on to relieve symptoms caused by the toxicity that is never cleared out. Synthetic medications add to the toxicity already there, so that there is little chance of ever healing from the chronic disease. Medical doctors admit that Interferon, the conventional treatment for viral hepatitis, is only effective 30% of the time. My clients describe the treatment as feeling like a bad case of the flu every day without a break. The muscles and joints ache and hurt. There may also be fevers. After a while, they have told me that they would rather do anything else than continue this treatment. Yet, in the minority of cases, even though the virus may be defeated by interferon therapy, the toxicity and liver weakness that cause the virus to thrive are still there. Therefore, the liver is still open and vulnerable to other bacteria, viruses, parasites, and many other types of infections and diseases. This is probably the biggest reason why, even though the viral levels dramatically decrease in response to interferon therapy, over time, liver cancer eventually develops. Medical doctors have nothing in their arsenal that can prevent liver cancer from developing once a person has been diagnosed with chronic hepatitis. Twenty years of chronic inflammation in the liver usually always turns into cancer. Since pharmaceutical medications must all be detoxified by the liver, they are a further stress on an already inflamed liver. This is why there will never be a "chemical" cure for hepatitis. Vaccines cannot rid the liver of this toxic buildup, either. Vaccines simply add more toxic burden onto an already overloaded liver. The Hepatitis B vaccine was originally developed from the infected blood of I.V. drug users. Human blood can contain many types of viruses and bacteria. Many of these drug users later developed HIV and AIDS. There is simply no way to know that the Hepatitis B vaccine contains only the Hepatitis B virus. Many years ago when the polio virus was developed, it was believed that it contained only the polio virus. It was developed from the kidney pus of pigs infected with the polio virus. Pus contains many types of bacteria and viruses, so the researchers tried to "clean" the pus. They believed they were successful. However, after many new discoveries in science, researchers reexamined the polio vaccine and found that it contained more than a hundred different types of live bacteria and viruses that were unknown to them when they first developed the vaccine. One of these viruses was the SV40 virus. This virus was later found repeatedly in various cancerous tumors, and especially in malignant breast tumors. Based on this, researchers now believe that this virus causes cancer. Many scientists believe that polio was not eradicated at all, but that it merely mutated into the viruses that now cause multiple sclerosis. Vaccines sometimes also cause the diseases they are designed to prevent. In the last few decades, every case of polio in the United States has been caused by the vaccine itself. The vaccine contains many harmful preservatives, including mercury, which is highly toxic to the liver, kidneys and nervous system. In premature infants given the Hepatitis B vaccine at birth, their blood levels of mercury increased to unacceptably high levels. Because of this, doctors are no longer administering this vaccine to premature infants, and gradually, manufacturers have stopped producing this vaccine with mercury added. Many also believe that the main reason for the polio epidemic was due to the high number of tonsillectomies performed. At the time, doctors did not know that the tonsils are the only organ that can produce antibodies that fight polio, so this left vast numbers of people helpless against polio infection. The tonsils are a vital part of the body's immune system that help protect it against many types of infections. After learning this lesson the hard way, isn't it time we learn the alternatives to removing vital organs and instead, learn how to cleanse and regenerate them naturally instead? The liver and gallbladder easily accumulate toxic fats and fat-soluble chemicals such as pesticides, cholesterol and hydrogenated fats (margarine) and rancid fats. Rancid fats come primarily from commercial vegetable oils as well as from nuts that have gone bad. Peanuts are commonly stored in silos for years before they are ever sold in stores. In the silos, they begin to accumulate mold. This mold contains Aspergillus, which releases a highly toxic substance called Aflatoxin B - a substance known by medical doctors to lead to liver damage and liver cancer. Because many nuts are stored for years before being sold in stores, they commonly go rancid. To cover up the rancid taste, manufacturers roast and salt the nuts. Pesticides are also fat-soluble toxins that are stored in the liver. Probably over half of my clients have done some recreational drugs. These drugs leave toxic residues in the liver. These residues continue to cause cravings for the drug, contributing to addictions. Also, smoking sends hundreds of unnatural (and radioactive) chemicals to the liver for detoxifying. All of these chemicals overload the liver and cause it to back up. Then the chemicals go into the bloodstream where they can cause all sorts of problems and symptoms. The bile that the liver normally produces should be thin and flow easily. Yet, when the liver is overloaded with chemicals, the bile becomes abnormally thick with fats, cholesterol, pharmaceutical residues and many other substances. Liver function slows down. When liver function becomes sluggish, this leaves the body open to many diseases, especially cancer. Good News - The Liver Can Regenerate! This toxicity process can be reversed at any time by creating a healthy environment for the liver. This environment includes healthy foods, juices and herbs to help clear out the toxins. Then, most importantly, it is important to stop exposing yourself to chemicals that damage the liver. As the liver gets healthier, putrid body and breath odors normally disappear. 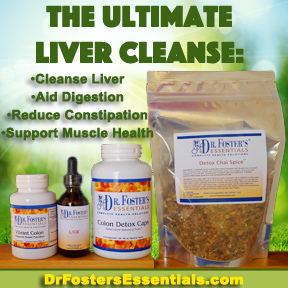 The liver has an enormous capacity to heal when the toxins are cleared out of the way. I've had many clients who have healed themselves from all types of hepatitis and liver tumors using this program as a foundation. There are many versions of liver/gallbladder flushes floating around. Many of them are too harsh for people who are ill. These involve consuming an entire cup of olive oil and using salt as an intestinal flush. Consuming eight ounces of olive oil often results in nausea and vomiting. At least half of all the patients I know who attempted the 8 ounce flush vomited. Of course, no one told them to add any digestive herbs or digestive teas just after drinking the oil mixture in order to avoid the nausea and vomiting. (Do you see how helpful herbs can be?). If you can't keep the flush down, how are you going to flush out gallstones? I have found that most people can handle about half this amount of oil or even up to 6 ounces of olive oil as long as they take digestive herbs and/or digestive herbal tea afterwards. This way, no one vomits. Now, onto the salt issue: Consumption of the salt mixture usually results in watery diarrhea within a half hour. Sure, it will get the intestines moving - within half an hour and in an uncontrollable way involving rushing to the bathroom and possibly having an accident. Despite the seemingly dramatic results, this is actually a poor intestinal cleanse and does not result in the elimination of the mucoid plaque layer of the intestines. Diarrhea can deplete vital electrolytes, cause extreme fatigue and can be dangerous for those on heart medications and other medications that depend on proper electrolye balance. It is never necessary to induce diarrhea in order to cleanse the colon. Many a patient of mine have had colonoscopies and drank the gallon of fluid designed to "clean out the colon" for the colonoscopy. It induces the same type of diarrhea - called "osmotic" diarrhea. When taking this solution, patients have to make multiple urgent trips to the bathroom, and this procedure ends up being exhausting and depleting for many people. My grandmother had to drink this fluid in the hospital while in the hospital for a bleeding ulcer (caused by her medications), and she at one point became so weak, she was crying and shaking and telling us she didn't know if she was going to make it through the night. Despite being told that the solution "cleans you out," after leaving the hospital, she still had just as many health problems as before and just as severe of a constipation problem as she ever had. And she never passed the mucoid plaque layer, either. Many types of popular liver flushes rely on large quantities of oil to cleanse the liver without using herbs that protect the liver from the very toxic materials that can come out. The Liver Regeneration Program allows people to increase the oil content of the flush gradually and can be safely used by those without gallbladders. It contains herbs that specifically protect the liver as well as cleanse it and naturally strengthen its functions. So, you've been having pains due to a gallbladder clogged with gallstones. Your doctor says he/she wants to remove your gallbladder. Why might you think twice about this surgery? First of all, removing the gallbladder (cholecystectomy) will only help the temporary situation and will do nothing for overall health. For example, although the doctor may remove the cause of the pain (the gallbladder full of gallstones), he or she cannot remove the gallstones that have collected in the liver. Surgeons notice these stones in the liver during surgery, but while they may be able to remove a few of them, they cannot remove them all. There are simply too many of them and they are spread throughout the entire liver. Removing the entire liver is not an option, since this would cause death. The reason the gallbladder becomes toxic with stones is because the liver is toxic. Surgeons also cannot remove bile sludge and other toxic accumulations in the liver, either. Because doctors can do nothing to improve the functioning of the liver - toxins continue to accumulate there. This means that every health problem one has that is the result of a toxic liver (see above) continues and worsens. Over the years, migraines worsen, constipation problems worsen, energy levels continue to decrease, memory loss worsens, and one continues to put on unwanted pounds. Second of all, the gallbladder has very important functions. It cannot be removed without adverse effects on body functions. Sure, you can survive without a gallbladder. But chances are, you're not going to feel great, and you're going to be left with some chronic problems - especially with digestion. The most important function of the gallbladder is to concentrate and store a specified amount of bile that is produced by the liver. Bile is needed in order to digest the fats in foods. When a person eats a meal, the gallbladder contracts and releases a large dose of concentrated bile into the intestines to help digestion of fats. This large dose is needed to order to properly digest a full meal. Without a gallbladder, the bile produced in the liver slowly drips out into the intestines a drop at a time.The bile is no longer concentrated, so its functions are weakened. Now, the amount of bile is no longer enough to properly digest a full-sized meal. After gallbladder removal, many people typically find that they can no longer eat a full meal without indigestion. They end up having to eat small snacks frequently thoughout the day, and must avoid fatty foods. Thirdly, whenever surgeons operate, there are always risks. These normally include: bleeding, infection, stitches coming undone (dehiscence), blood clots, bile duct injury and rarely, death. I have known people to die from simple routine surgeries including cholecystectomy as well as liposuction and hemorrhoid surgery. Fourthly, the long term effects of gallbladder removal: probable predisposition to diabetes mellitus. When the gallbladder is not present to properly digest foods, it places an unusually large burden on the pancreas to produce digestive enzmes to pick up the slack. The body will always try to compensate when an important organ is removed. When one kidney is removed, the other kidney enlarges in order to compensate. Unfortunately, no one has two gallbladders. The burden then falls on the pancreas. The pancreas will try to compensate for the lack of digestive enzymes after the gallbladder has been removed. However, after years of trying to compensate, the pancreas becomes overworked and has a tendency to wear out. When it wears out, diabetes appears. Unless liver cleansing programs are used to clean out the liver toxicity that started this problem in the first place, there may be no chance for healing the diabetes. Although herbs may be taken to strengthen the pancreas (e.g. cedar berries, etc. ), unless the liver is also healed, the diabetes may not improve. As many natural healers insist: proper digestion is the number one most important factor in maintaining good health. 10 to 20 drops garlic tincture (available through DrFostersEssentials.com) (Omit garlic if you are having diarrhea or are pregnant.) 1 to 3 fresh garlic cloves may be used instead, but will require the use of a blender. 1 to 3 tablespoons organic cold-pressed sesame oil (not toasted) Organic extra virgin olive oil may be substituted. Do NOT use generic "Vegetable Oil." Optional: 1/8-tsp cayenne pepper, powdered or 5 to 10 drops liquid cayenne tincture. (Omit if you are having diarrhea. )Best used by those with poor circulation or heart problems. First thing in the morning, place the above ingredients in a large 16 ounce mug or other drinking container. If the container has a lid, then shake the ingredients. If not, then a Vita Minder® portable drink mixer can be used. The VitaMinder is fairly silent and allows for thorough mixing of the juice and oil. Cleanup takes only a few seconds. Drink it down all at once. Sit quietly for a few minutes to allow the juice mixture to go to work. Fifteen minutes after consuming this drink, drink 2 cups of the Detox Chai Spice. If Detox Chai Spice is not available, use 2 droppers full of the liquid Digestive Formula. The L/GB Formula is taken in a little water or juice or it may be mixed in with the morning drink or to the Detox Herbal Tea. a. If diabetic, use only limes, lemons, grapefruit or green apples - they are least likely to raise blood sugar, and, in this recipe, the juice is diluted with an equal amount of water which means there will be even less of an effect on the blood sugar. When garlic is used, there can be a significant blood-sugar lowering effect - insulin may need to be adjusted downwards. b. If not diabetic, and you have a lot of heavy metals accumulated in your body, or have many "silver amalgam" fillings, use grape juice, as it is very high in pectin, which absorbs and draws out heavy metals from the body. If one has more than a few "silver amalgam" fillings in the mouth and drinks soft drinks out of aluminum cans, then it can safely be assumed that there are plenty of heavy metal deposits in the body. c. Otherwise, use apple or citrus or a citrus juice combination including lemons, limes, tangerines, mandarin oranges, and/or grapefruit. Nutritional research has shown that citrus fruits help to slowly dissolve kidney stones and gall stones. It's best to use whatever is in season at the time, but this is not mandatory. d. One can use a manual citrus juicer to juice citrus fruits quietly so as not to disturb family members or roommates in the morning. Fruit juices, vegetable juices, herbal teas, salads, soaked and sprouted nuts, seeds, and grains. 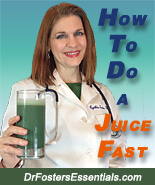 A complete juice diet is the most healing (drinking a gallon of fresh vegetable and/or fruit juice daily). After that, a purifying raw vegan (or living) foods diet is the next best thing and will produce excellent results. If possible, try to do an all juice diet for at least one day out of the six day program. If raw foods cannot be consumed, eat a regular vegan diet consisting of all plant foods and no animal products. It is very important to do the Intestinal Rejuvenation Program while doing any type of liver cleansing program. I consider this to be so absolutely crucial to the success of a liver cleanse that it is included in the Liver Regeneration Program. Once toxins are flushed out of the liver, the bile ducts take them directly to the intestines. Unless there are intestinal formulas in the body that can absorb these toxins out of the body, sometimes the toxins can't get out (especially if there is constipation). Doing a liver flush without the intestinal formulas can make people feel ill, so it's important to do the full Liver Regeneration Program and not just the L/GB Formula. Take the Colon Detox Caps (or Colon Soothe Formula) with 8 to 16 ounces distilled water three to five times each day between meals. Take the Colon Start Plus or Vibrant Colon Formula with dinner only as needed to help bowel movements. Allow one hour before or after taking the Colon Detox Caps (or Colon Soothe Formula) before taking any doctor-prescribed or over the counter medications. For more information about the The Intestinal Rejuvenation Program.